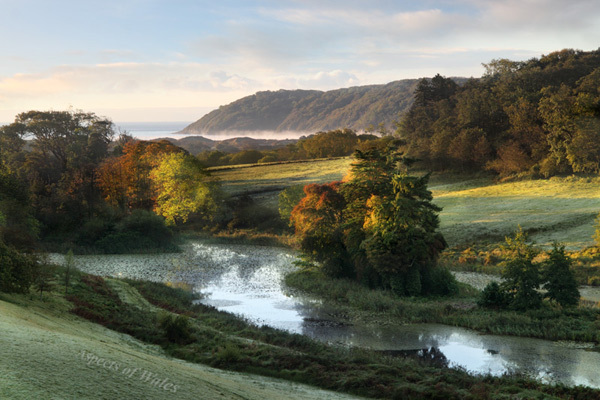 This photo was taken early in the morning in mid-October 2012, looking out towards a foggy Oxwich Bay from Penrice House, at NGR SS4969988406. Canon EOS 600D, Canon EF-S 17-85mm lens at 64mm, Manfrotto tripod. Exposure F11 at 1/25, 1/50 and 1/13 seconds manually combined. Original images in Raw format.